By Craig | January 23, 2019 | This post may contain affiliate links, which means we may receive a small commission, at no cost to you, if you make a purchase through a link. Read our Disclosure. Five years ago my good friends got married on Daydream Island Resort and judging by the photos I saw and stories I heard it looked and sounded AMAZING. Celebrating their marriage with a group of friends living it up on an island in The Whitsundays for a week, who wouldn’t be up for that? At the time our friends got married we were living in North Carolina and due to the long distance, financial strain and job commitments we could not attend. But, we finally got a taste of what they experienced earlier this year. Daydream Island Resort was just one of the many places we visited in Queensland. Our mistake this time was only staying for 24 hours. After arriving in Airlie Beach we dumped the car at the port and jumped on the ferry for the 3o minute crossing to Daydream Island Resort, ready for some island time. 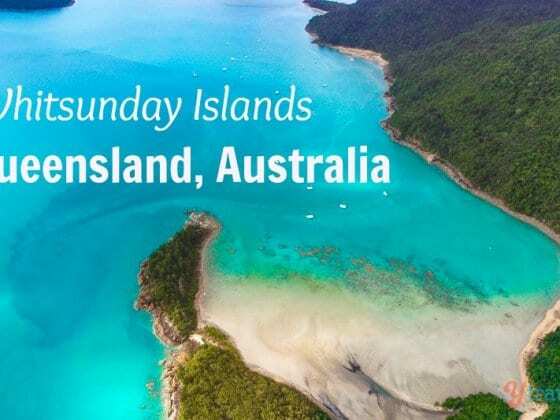 This would be our second island getaway since Fraser Island and Daydream is just one of 74 islands in The Whitsundays Islands in the gorgeous Great Barrier Reef. Daydream Island is one of seven islands of the Molle Island Group. We’d arrived late afternoon so hurried the kids off the ferry, checked in to our room and then raced across the island to see the sunset. 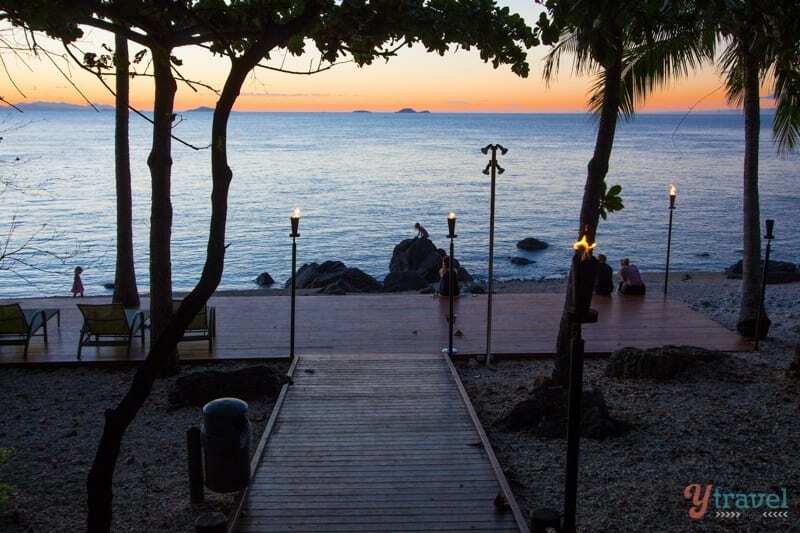 It was the beginning of a magical 24 hour stay on Daydream Island Resort and Spa. This is what we got up to. 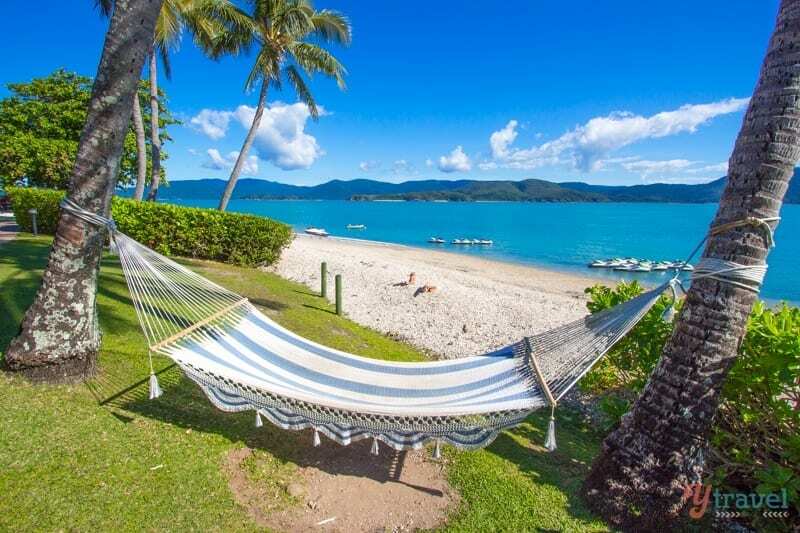 Should you take a day trip to Daydream Island or sleep over? 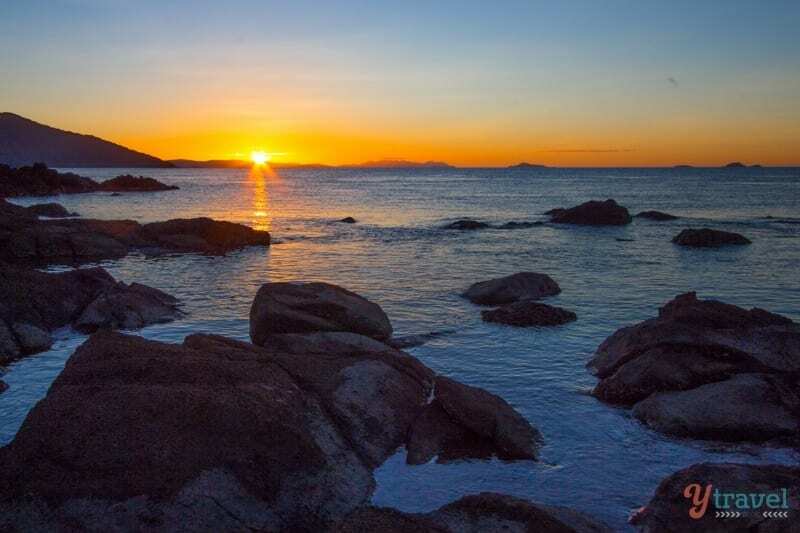 Every good island needs a beautiful sunset and Lovers Cove is a good place to be on Daydream Island. Instantly I recognized this spot from my friends wedding photos as the place they got hitched. What a brilliant setting to say I do. Of course I had to text them a photo and say “we made it, only five years late”. Lovers Cove is a lovely little beach area for the kids to play on whilst you sit back and take in the last hour of the day, the sun sinking slowly over the rocks and horizon, and a cold drink in hand is compulsory. 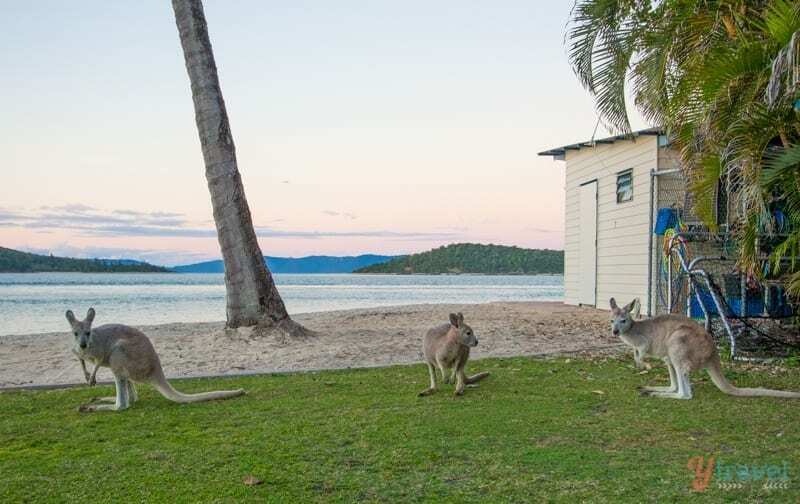 What I found amazing is you can go to a resort island in Queensland and wake up to seeing some kangaroos down by the beach and outside your room. Apparently they were Wallaroos, but who’s judging! 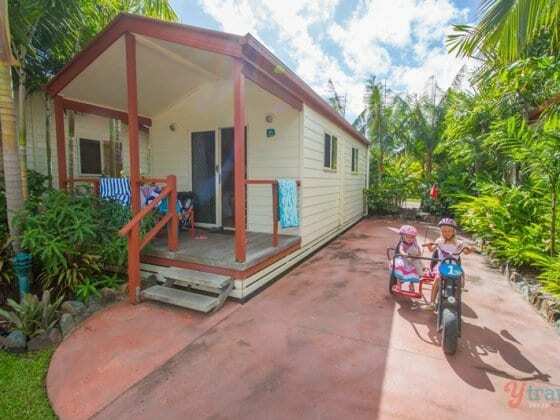 I know Whitsunday Island life is all about relaxing and maybe sleeping in a little, but hey, we were there for one night only and if you have young kids like us sleep ins are a thing of the past. So if you’re the morning type get out of bed at dawn and meet the friendly and photogenic wallaroos down by Mermaids Beach, take a short stroll along the waters edge (just don’t expect powdery white soft sand like nearby Whitehaven Beach) and this is the best time to claim your sun lounge. How’s that for a start to your day with your own private beach? Something to day dream about for sure! 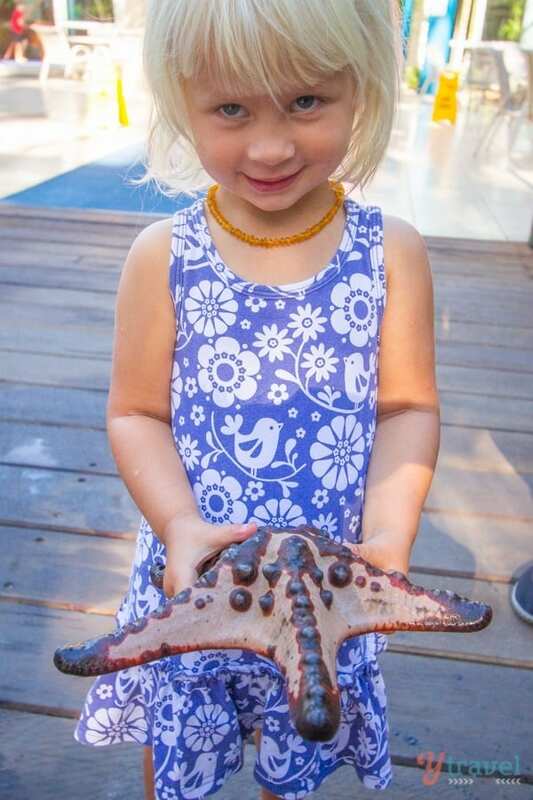 If you’re visiting Daydream with kids, and even if you’re not, one of the exciting activities on Daydream Island Resort is the interactive Living Reef educational experience. Living Reef is one of the world’s largest man-made living coral reef lagoons and Kalyra and Savannah loved the opportunity to get up close and personal with some friends from the ocean world. 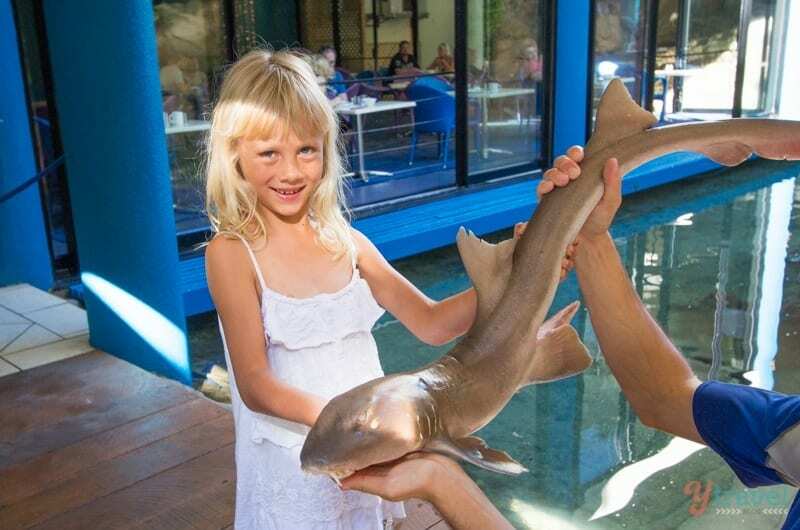 We met Bruce the sicklefin lemon shark, held a starfish, and got to feed the resident stingrays – Pikelet and Pancake. But the funniest moment was watching Caz feed the barramundi. Have you ever hand fed barra before? Be ready, they are like lightning taking the food out of your fingers. It was so great seeing our kids faces light up with this hands on experience and to be able learn about marine life in a safe environment. 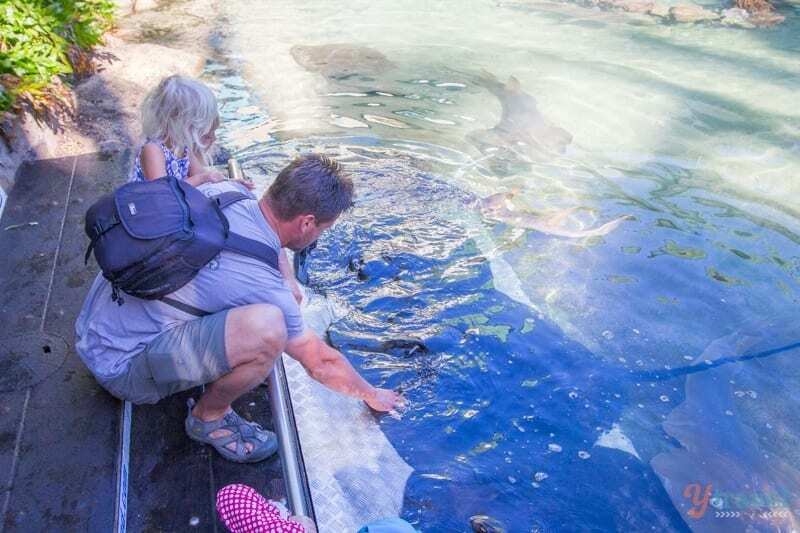 Daydream Island Resort puts on free educational feeding sessions twice a day, or you can participate in the Stingray Splash experience – you walk knee-deep into the Living Reef and hand-feed the stingrays for 45 minutes. Time to channel your inner marine biologists. Our kids are like most kids, they love the water, as we do and any chance we get to get out there we’re up for it. It was time for some physical activity and first up was taking the kayaks for a spin. 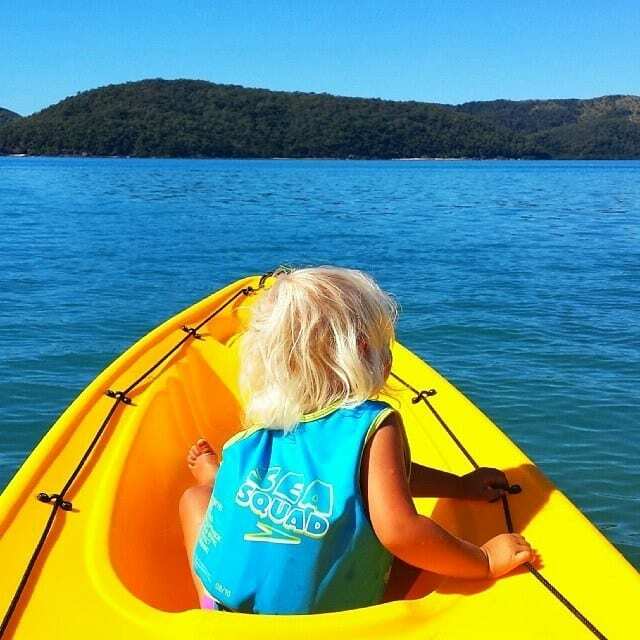 Little Savannah sat with me as we went paddling just off shore and she got to enjoy some lovely views out over The Whitsundays Islands and I got some much needed exercise. Apologies for the crappy mobile phone pics mixed in here, but you get the picture. Really need to get that waterproof camera! Caz and Kalyra joined us in another kayak for a family paddle and it was a lovely way to start the morning activities. 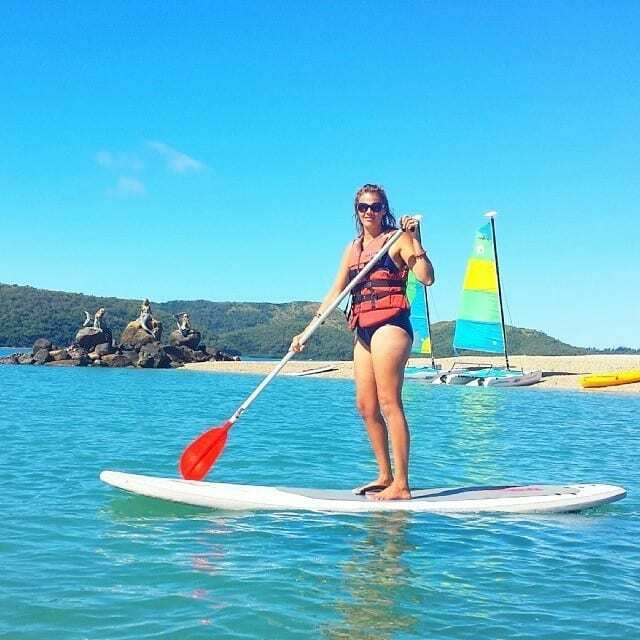 I had done stand up paddle boarding once before and loved it, but this was the first time for Caz and now I think we’ll both be looking for other opportunities to go for a paddle. What a pleasant way to get some exercise, it really works your core muscles around your tummy area and helps with your balance, besides being a ton of fun. Caz went ok, however the most exciting part was seeing Kalyra take this on and take it on she did. Whilst I had to rescue her a couple of times from paddling out to sea or crashing into one of the sailing boats, she did awesome for a six year old and we couldn’t get her off it. Next time I might throw Savannah on the front of my board, I’m sure she’d enjoy the ride. Next up was snorkeling. Caz and Kalyra joined a guided snorkeling tour that took in the waters and coral beginning at Mermaids Beach and ending around the corner at Lovers Cove. Savannah and I decided to follow on Kayak and play support crew. In hindsight it was a little too far for Kalyra and we didn’t make the return journey, instead staying at Lovers Cove for some easy snorkeling there. If you’re not up for the longer snorkel tour, just grab some fins and a mask and head to Lovers Cove. It’s fringed by outcrops of live coral and colourful fish life, who will happily eat from your hand. After a morning of water activities it was time for lunch so we decided to walk the boardwalk which hugs the edge of Daydream and leads you to the other end of the island. We grabbed a bite to eat at the Boat House Bakery and enjoyed a different water view. Next door to the bakery there’s also the Fishbowl Tavern which was under renovations at the time, but it looks colorful, lively and good spot for a beer, or two. 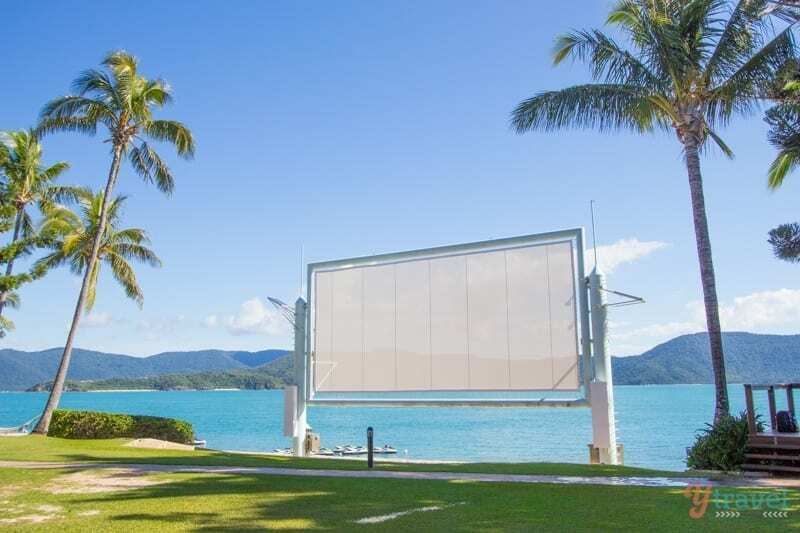 At this end of the island there’s also the 44ft Outdoor Cinema screen, we didn’t see any movies on our short stay but with the open water as a backdrop I can imagine a movie screening here is a must do. After lunch had settled the kids sprang to life again and made some friends on the nearby Jungle Jumble Kids Playground. Meanwhile daddy kicked back on the grass and enjoyed a little time out, whilst mummy enjoyed one of her favourite activities of all time, swinging in the breeze in a hammock. 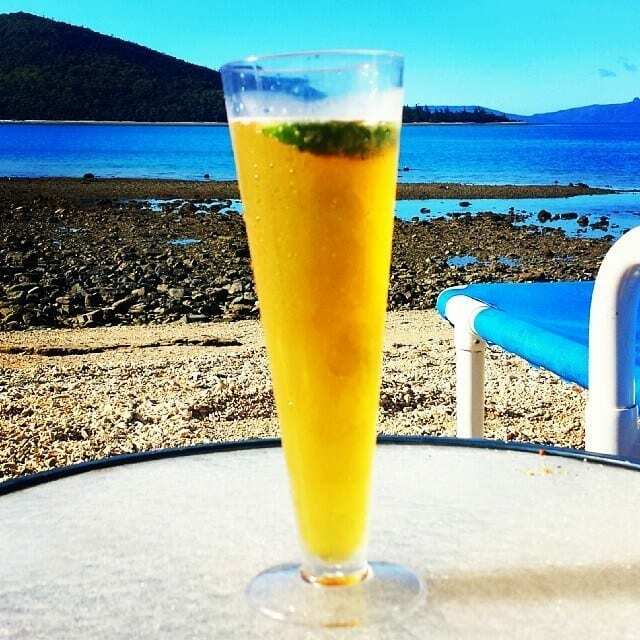 Next time we visit Daydream Island Resort we’ve already booked the kids into The Skippers Kids Club program so we can sneak off for a few cold ones at the Tavern, or the poolside bar, or maybe a bit of pampering at the rejuvenation spa, actually we’ll do both! Time flies when you’re having fun they say and our stay was coming to a close. Our ferry was due to depart late afternoon but we couldn’t leave without some pool time and one last beer in honour of island life. If you’re not a beach person you’re in luck. There’s several outdoor pools to choose from on Daydream Island Resort one with a swim up pool bar, but we went with the one with the open air spa overlooking Mermaids Beach. Some pool time was the perfect way to end an enjoyable 24 hours on Daydream which we wished could have been turned into 48, and to be honest I can see ourselves returning for a week long stay. For us Daydream has that good balance between relaxation and activities. 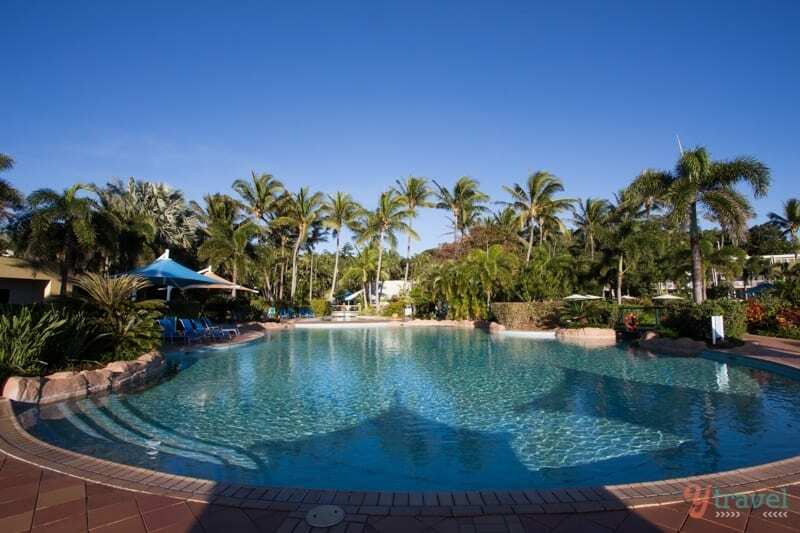 We’re not a family that can just lay by a pool for 10 days, we like options and Daydream Island has them. Besides what we squeezed in during our stay there’s the resort offers Tennis courts, mini golf, beach volleyball and sailing, amongst other things. And remember, you’re in The Whitsundays. 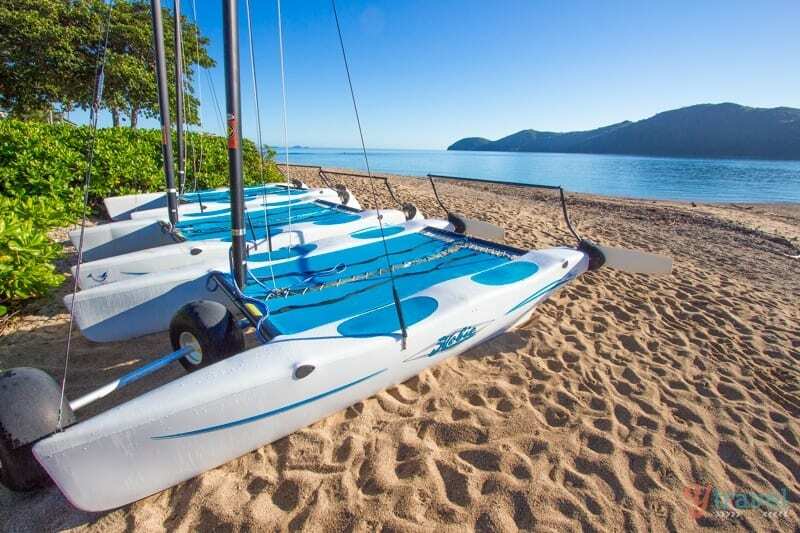 Nearby Airlie Beach is a fun town in it’s own right with plenty of cafes, bars and the awesome lagoon your kids will love, and did I mention famous Whitehaven Beach is at your fingertips – you must go to Whitehaven! 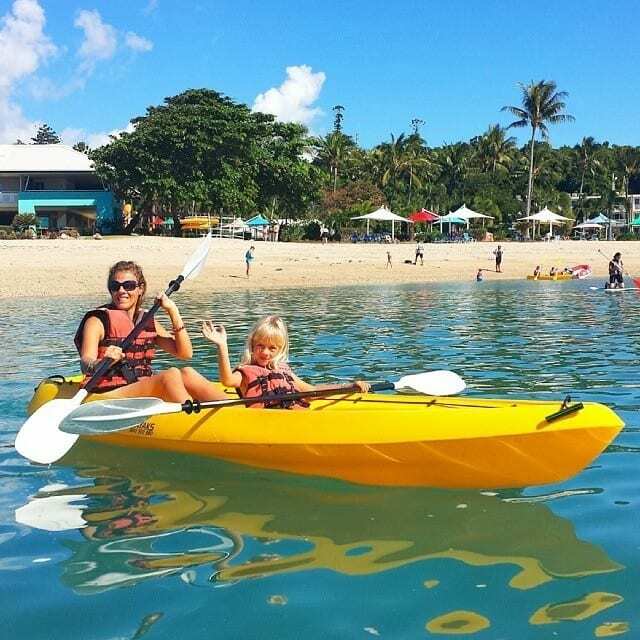 If you decide to base yourself in Airlie Beach you can jump on the ferry for a day trip over and for a per-person fee make use of the resorts facilities. 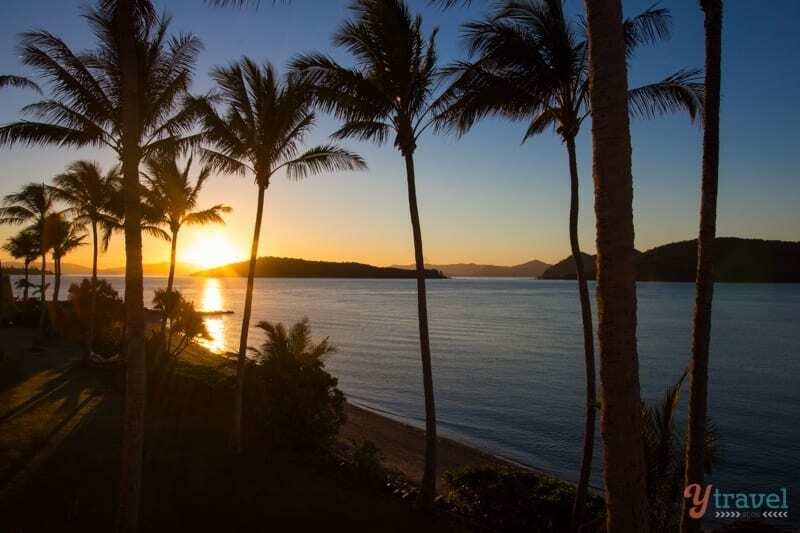 Or, you can stay on Daydream Island and choose one of their accommodation packages and maybe wake up to a beautiful sunrise like we did from our balcony. For dinner we dined at Mermaids Restaurant and if you eat here try for a table outside which overlooks the pool and beach. Breakfast was a buffet at Waterfalls Restaurant and to be honest was a little disappointing for an island resort and just ho hum. If you stay on the island, you can always do the opposite and day trip to Airlie. Next time I think we’ll do both and split our time evenly between Airlie and Daydream. 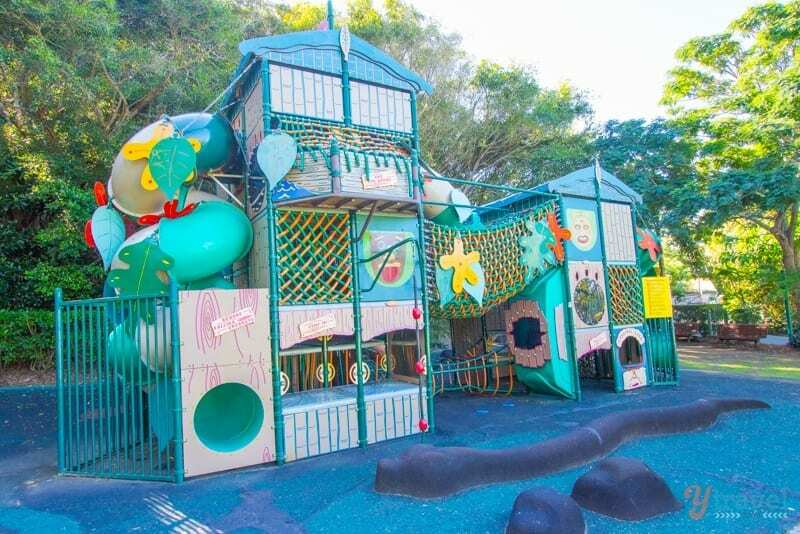 Daydream Island has only just reopened (aug 2018) after the devastation of Cyclone Debbie. 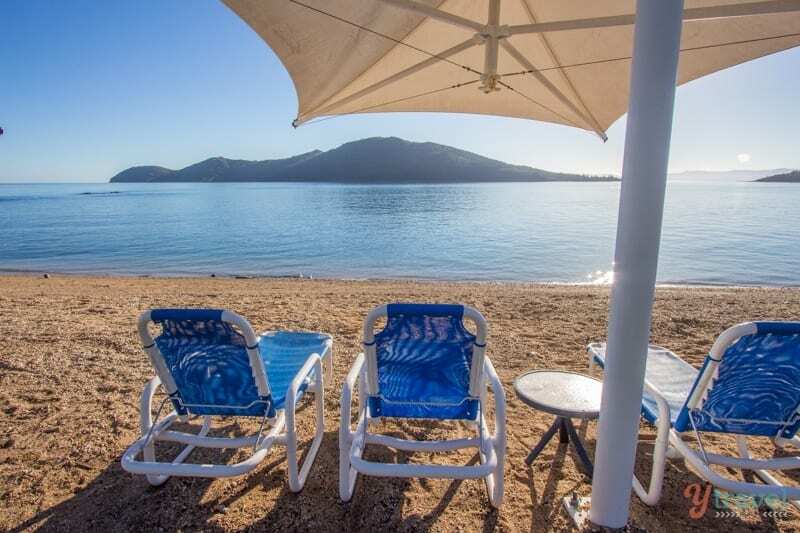 Following an extensive redevelopment Daydream Island resort now offers 277 refurbished modern rooms and suites with en suite and the choice of interconnecting rooms for families and special access rooms. 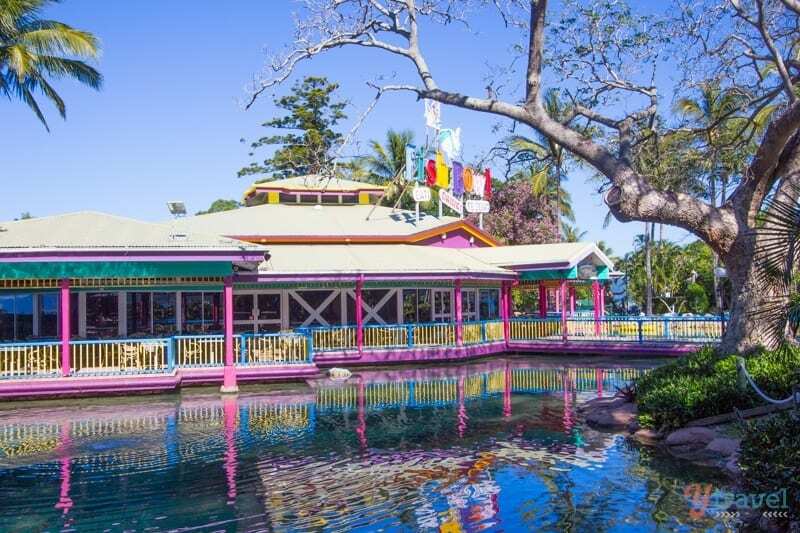 There is an expanded food and beverage offering across the island with three restaurants and three bars including an exciting new Asian Fusion restaurant which joins the buffet and modern Australian restaurants. Booking.com has over 300 properties in Whitsundays. You get free cancellation on most rooms and a best price guarantee. Check out these awesome tours of Whitsunday with our partner Viator. From Airlie Beach (Port of Airlie) there are 10 ferry connections daily with Cruise Whitsundays. So what do you think? Is Daydream Island a place you could see yourself enjoying? Glad the wedding was beautiful. Sorry the rest of your stay wasn’t as memorable. When was this trip, recently or a while ago? Maybe they have updated the property since? We only stayed 24 hours as mentioned but really enjoyed it, as did my friends group who got married and spent a week there. I know things in Oz can get pricey, especially island resorts. This are very good and eye catching images of the beaches, it has been shot perfectly. This place give’s me a sense that it is very similar to antalya beach in Turkey. That looks absolutely amazing!! Definitely adding this to my bucketlist for next year! We don’t sit still for too long Jan, kids won’t allow that. But Daydream offered great options for both us and our girls but yeah 24 hours goes fast. And yes the beauty about Daydream is it being amongst the 74 islands that make up The Whitsundays. Love the whole region! 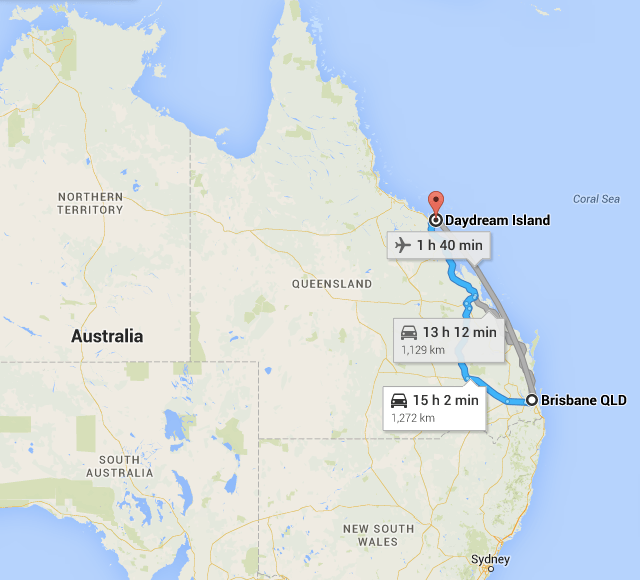 Is it possible to go from Day dream Island to Whitehaven Beach? Thanks for all of this information. I have been trying to decide where to stay while in the Whitsundays. 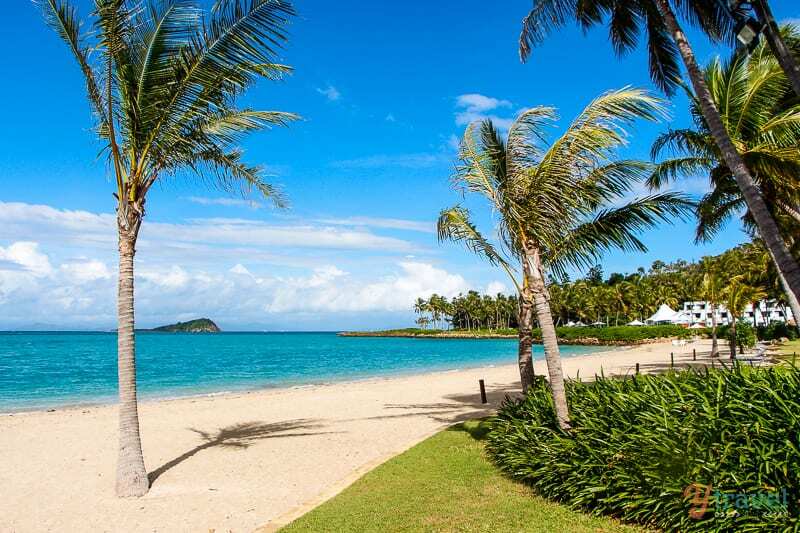 DayDream Island looks like a great spot for my family for a night or 2.